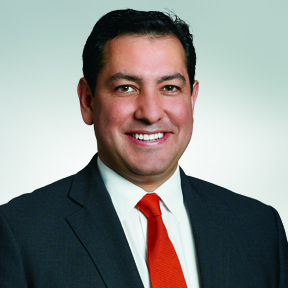 Bryan Garcia is the President and CEO of the Connecticut Green Bank – the nation’s first state-level green bank. Before joining the Green Bank, Garcia was Program Director for the Yale Center for Business and the Environment. At Yale, Garcia led efforts to develop a leading global program responsible for preparing environmental leaders for business and society. There he was co-editor of two publications – “Carbon Finance: Environmental Market Solutions to Climate Change” and “Carbon Finance II: Investing in Forests for Climate Protection”. Prior to Yale, he served as Connecticut’s Climate Change Coordinator where he supported the Governor’s Steering Committee on Climate Change. Early in his career, he was a U.S. Peace Corps Volunteer specializing in NGO capacity building and environmental education in the Republic of Kazakhstan. Bryan is the Co-Chair of the Financing Solutions Working Group of the State Energy Efficiency Action Network (SEEAction Network), on the advisory boards of the Institute for Sustainable Energy at Eastern Connecticut State University, University of Connecticut School of Engineering, and the Yale Center for Business and the Environment. He holds a B.S. degree in political economy of natural resources from U.C. Berkeley, M.P.A. in public and nonprofit administration and an M.B.A. in finance from New York University, and an M.E.M. degree from Yale University.